The Federal Communications Commission is scheduled to vote on a proposal today that effectively bars internet companies from prioritizing some internet traffic over others. As John Oliver famously explained "ending net neutrality would allow big companies to buy their way into the fast lane, leaving everyone else in the slow lane." The FCC's proposal faces plenty of opposition from telecom companies and others, but it's just the latest round in a long fight. Here is a brief history of attempts to enact net neutrality and the often successful push against it. March 2002: The FCC, under the Bush administration and Republican Chairman Michael Powell, declares that cable modem services are "not subject to common carrier regulation," meaning they aren't bound by standards for nondiscrimination in service. Instead, cable Internet services fall under a separate light regulatory regime that gives the commission limited enforcement power. Tim Wu coins the phrase "net neutrality." Fall 2003: Tim Wu, then an associate professor at the University of Virginia Law School, first coins the term "net neutrality" in a paper for the Journal of Telecommunications and High Technology Law. He defines net neutrality to mean an Internet "that does not favor one application…over others." August 2005: The FCC adopts a policy statement to "preserve and promote the open and interconnected nature of public Internet," which focuses on protecting consumer access to content online and competition among Internet service companies. The statement has no power of enforcement. May 2006: Sen. Ed Markey, D-Mass., introduces a net neutrality bill that would keep Internet service companies from blocking, degrading or interfering with users' access to their services. But the bill stalled in the House Committee on Energy and Commerce and never came to a vote. September 2008 — April 2010: Comcast voluntary agrees to stop slowing down BitTorrent traffic. But it takes the FCC to court anyway, arguing that the agency is operating outside its authority. Specifically, the company points out that the FCC's 2005 policy statement on neutrality doesn't have the force of law. December 2010: Democratic FCC Chairman Julius Genachowski writes an order to impose net neutrality rules. Unlike the FCC's 2005 policy statement, this new order is a real rule, not just a policy statement. 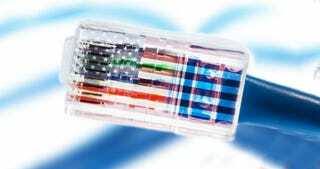 September 2011 — January 2014: The District of Columbia Circuit Court of Appeals rules the Federal Communications Commission can't enforce net neutrality rules because broadband Internet services don't fall under its regulatory authority. The details of the new rules won't be made public until after the vote. Experts expect challenges to the rules as soon as they are published. Michael Powell, a former FCC Chairman and current president and CEO of the National Cable & Telecommunications Association, told CNBC it could take "at least two and up to five years before the rules are fully and finally settled." Related coverage: Read about state laws that make it difficult for cities to provide cheap, fast Internet through municipal broadband networks.